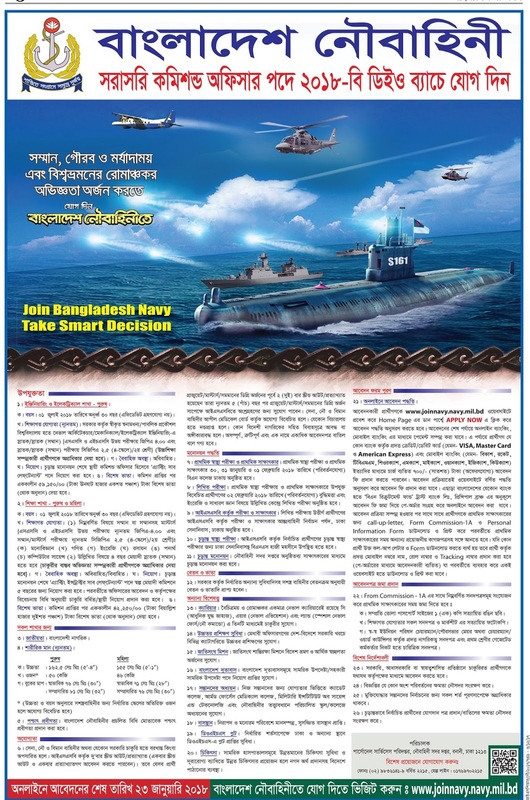 Recently Bangladesh Navy published New job circular Notice at there official website http://www.navy.mil.bd/. Minimum Graduate Student also apply this Bangladesh Navy Commissioned Officer job circular 2017. You May Check Bangladesh Navy exam result from our website www.chomebd.com. You have to submit your document before 23 January 2018.